OUT OF THE BOX Consulting has over two decades of experience with enterprise information systems, business processes and the alignment between them. We have been working with salesforce.com(SFDC) since 2004, are a SFDC Certified Cloud Alliance Partner and provide comprehensive services for SFDC environments; from system architecture and design, through end-to-end implementation and custom application development, to integration with other systems and ongoing administration. 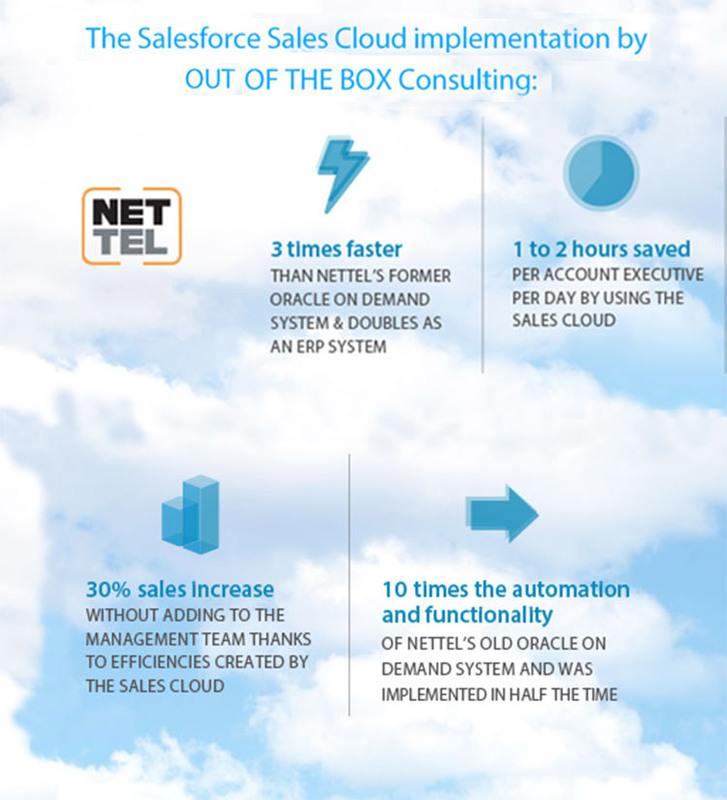 What sets OUT OF THE BOX Consulting apart from other SFDC experts is our commitment and approach to solving problems the correct way, for the overall business. We make sure that any implementation, solution or upgrade we do to our clients’ systems and/or processes, works well, and also works well with the other functions and systems in the company. By creating strong alignment between the systems, processes and functions in the organization, we enable effective collaboration and new levels of results.